Looking for a convenient and flexible hotel in Wesley Chapel, FL? Have a relaxed stay at our Rodeway Inn hotel. A stress free trip that welcomes furry friends and is very accessible to our guests! Having a top location right off Interstate 75 this budget friendly hotel gives you the opportunity to visit the most top rated attractions close by! 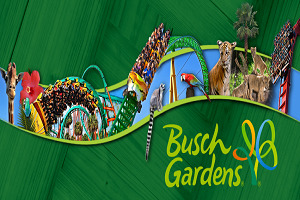 Some of these include Busch Gardens Tampa and Lake Jovita among others. Our hotel provides the whole package! Affordable stay, great location and essential amenities to make your stay outstanding. Get ready to explore Wesley Chapel with friends or family, book your trip with us today! Amenities must be highlighted in order to provide our guests with an exceptional visit. At Rodeway Inn complimentary Wi-Fi and free continental breakfast is offered. We also have free coffee, and fax and copy machine services for any of your business needs! Once you’re ready to settle for the night, our fitting rooms include TV, coffee makers and an iron with iron board. We also make your stay even more flexible by being a pet friendly hotel giving you the option of bringing your pet along! Wesley Chapel has a variety of dining options to choose from! Grillsmith New Tampa is a great place for dinner with the family. Great food, very attentive service and they even have vegan choices! If you are in the mood for pizza and pasta, Amici Pizza & Deli is the place! Known for its authentic New York style pizza and flavorful menu options this place is a must. Burger Monger, Los Vallarta Mexican Restaurant and Latin Twist Café are other great choices in Wesley Chapel! Want to shop till' you drop? Wesley Chapel has some amazing shopping centers! The Shops at wiregrass is a great one. With a wide selection of stores and restaurants plus easy parking it’s a no brainer! Another convenient shopping center with all the great stores you love located off I-75 is Grove at Wesley Chapel. After shopping you can hit the movie theater or Chuck e Cheeses for some great family fun! Tampa Premium Outlets are a short drive away also with lots of stores and great family friendly ambience! 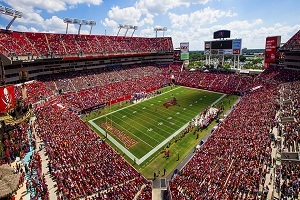 Wesley chapel is definitely a great place for fun and recreation! 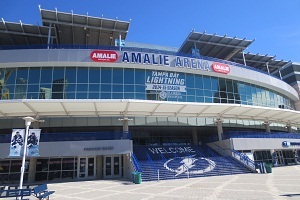 Being part of Tampa Bay Area metro it has great spots close by for fun activities. Hot Air Balloon Flights over the beautiful terrain of Lutz, Land O Lakes, Wesley Chapel, New Tampa, Zephyrhills and St Leo Area followed by hot breakfast at the local airport café is a fun and unique experience for the entire family! McCormick’s Cable Park has a variety of water fun and outdoor fun that the kids will love! You can also head over to Harry Hopman/ Saddlebrook International Tennis for some amazing top notch training. Looking for a little more night life fun and entertainment? Let's get you ready! Wesley Chapel has fabulous bars and pubs with great music and dancing! The Basement is one of those fun places to go drink, listen to awesome music and dance the night away! They also have darts, a pool table and 80’s movies playing so it makes your night even better. If you are a sports fan, Top Shelf Sports Lounge is for you! Have a great meal, drink beer and watch live hockey games at the same time! Nothing better than a great combo. You can also head over to Lakeland Loft or to Rhythm and Brews for more fun and great atmospheres. Free! All children under 16 years stay free of charge when using existing beds. All further older children or adults are charged USD 10 per person per night when using existing beds. One older child or adult is charged USD 10 per night in an extra bed. Free! One child under 2 years stays free of charge in a child's cot/crib. The maximum number of extra beds/children's cots permitted in a room is 1. Any type of extra bed or child's cot/crib is upon request and needs to be confirmed by management. Additional fees are not calculated automatically in the total cost and will have to be paid for separately during your stay. The hotel is simple but clean and accommodating. The staff Jacqueline, David and others went above and beyond to make our team stay pleasant. Breakfast had homemade eggs. Very good value. Close to shopping and restaurants. Excellent hotel, great value, friendly staff! Oh, yes! This is a GREAT value. This hotel had great wifi, a wonderful breakfast, a nice room, flat screen TV and a super friendly an helpful staff. Very clean room, the beds were comfortable, coffee all day. I stayed there for 2 weeks. Restaurants and the mall within walking distance. It was a great value that will be worth a repeat. I stayed here for a nite, looking for a place that was close by & inexpensive. Very friendly & helpful staff, the room was quiet & adequate, the teevee & fridge worked fine. Courteous service, good location next to I-75. Good value for the price. We left early in the morning so did not use the facilities or take advantage of the breakfast. The front desk was quite helpful. I have never ever felt so welcomed and catered to and they even took care of our teams soaking gear on one of our tournament days. This made me so happy that they cared for us so much. This place was beyond what I could ever expect. And it felt like they just wanted us to feel right at home. Our boys were treated kindly. Great place to stay..hotel is well maintained and rooms are very clean. Kelly at the front desk made us feel welcomed and was very accommodating. She went out of her way for us to feel happy.and she did all that with a smile on her face..I highly recommend this place. Excellet hotel, super value and outstanding staff. I would absolutely recommend this hotel to my family and friends. The room was clean and the service was outstanding! Free breakfast and walking distance from restaurants and stores. The staff was very friendly and offered great service at all time during my stay here... great place/value!! !